These summer books for young adults make great summer reading for old adults, too. Hatchet by Gary Paulsen – Every young teenager needs a tool, especially Brian Robison, plane crash survivor. Brian finds himself stranded in the Canadian wilderness with nothing but a hatchet. Harry Potter Series by J.K. Rowling – Every young teenage wizard needs a wand, especially Harry Potter, Hogwarts savior. I’m sure you’ve heard of the books and maybe even seen the movies, so I’ll simply recommend the book and continue. The Chocolate War by Robert Cormier – Every young teenager needs to stand up and refuse to sell chocolate for the school fund raiser for no particular reason. That’s what Jerry Renault does, bringing on himself more trouble than a dog in a candy store. Some of the content in this classic young adult novel is borderline offensive and extremely depressing. Do not read it if you are contemplating suicide or murder. Holes by Louis Sachar – Every young teenager needs to dig holes, especially Stanley Yelnats who ends up in a juvenile detention center in the middle of Texas for a crime he did not commit. 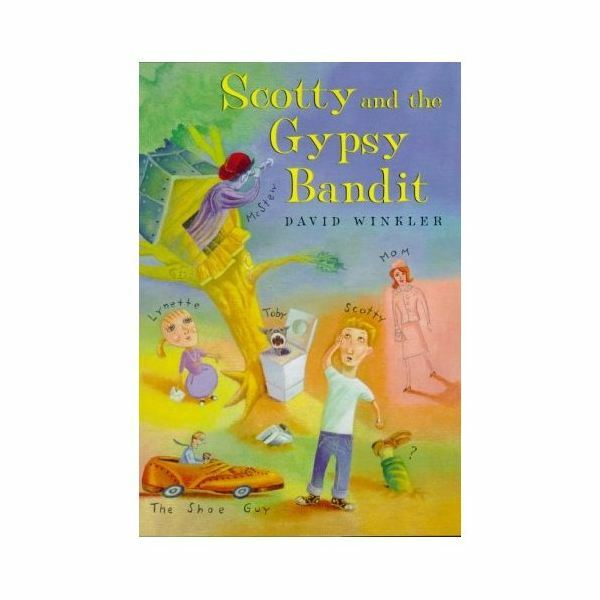 Scotty and the Gypsy Bandit by David Winkler – Although not as famous as the above young adult novels, Winkler’s well told tale about a young boy and his eccentric neighbor makes a great summer read. You’ll love the characterization. The Outsiders by S.E. Hinton – Great book. Great movie. The Outsiders tells what happens when gangs from both sides of the track clash. Next on our list of great books to read over the summer (or any time of the year) are considered classics. Fahrenheit 451 by Ray Bradbury – This is not the temperature at the poolside in Vegas. It’s the temperature at which books burn. It’s the future. Books are illegal. Firemen destroy them (along with their readers). So what happens when a fireman becomes a reader? If you like this one, you may also like 1984 by George Orwell or Brave New World by Aldous Huxley. Lord of the Flies by William Golding – Nothing like a spending some time on a tropical island! Unless you’re stranded with insane children who want to kill each other. The Adventures of Huckleberry Finn by Mark Twain – Take a trip down the Mississippi with Huck and Jim. Because it’s summer, you don’t need to worry about censorship and political correctness. The Scarlet Pimpernel by Baroness Orczy – Great summer read. It’s got mystery. It’s got danger. It’s got surprise. It’s got French chicks. Catch-22 by Joseph Heller – This might be the funniest book ever written. Read it and forget about all that Victorian literature your teachers made you read in high school. These reading lists will help you prepare for college, high school, summer, or whatever else you need to prepare for.